Known as a tourist hub, Dumaguete is a great place to start exploring what the Negros Island can offer. But, aside from the usual travel spots like the Apo Island and the scenic beauty it offers, Dumaguete hides a few more secrets that will certainly wow anyone who will visit. Situated in the town of Valencia, you’ll find Pulangbato’s unique calm and refreshingly cold waters. Instead of turquoise waters that you usually see, Pulangbato has red waters. That’s right! As its name suggests, the Pulangbato Falls has naturally red rocks that give the pristine lagoon a reddish color. 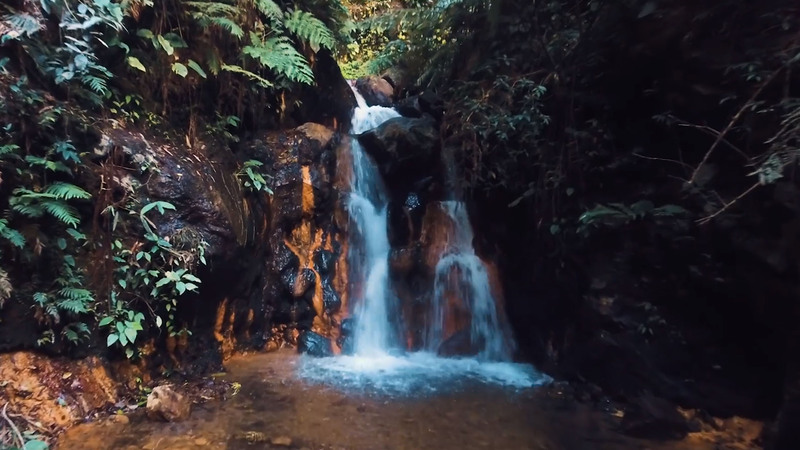 Did you know that the Negros Island gets 17% of its power from geothermal energy? Also located in the geothermal-rich town of Valencia, the Mag-aso steam vent can be seen along the highway. The steam vent harnesses geothermal energy to provide a renewable energy source to the residents of Negros. If Dumaguete’s very own renewable energy source has not impressed you yet, then let us introduce the BINHI Nursery in Valencia. The BINHI Nursery is part of the Energy Development Corporation’s (EDC) greening legacy where they help protect and plant trees. The greening legacy is not just limited to Negros but also to the areas where EDC operates. Looking for a bit of a challenge? Then the Baslay Hot Springs and Waterfalls are just right for you. To reach the Baslay Hot Springs in Dauin, be ready to face rough roads and steep stairways. The journey may be tough, but a dip in the hot springs will surely melt all your exhaustion. If you prefer the view of sand and waves instead, then hop on a bangka and head over to the Manjuyod Sandbar in Bais. Dubbed as the ‘Maldives of the Philippines’, it boasts fine white sand that stretches a few kilometers long. The charm of the Manjuyod Sandbar is different from beaches like Boracay, Panglao or Palawan because unlike the latter, Manjuyod is a hidden gem, free of tourists swarming the entirety of the beach. You wouldn’t even see the typical palm trees greeting you as you arrive. It’s just you, the sand, and the beach! Have you gone to the 'Maldives of the Philippines'? Or tasted the famous Bacolod Chicken Inasal? Catch Patrice Averilla and Chito Jumawan as they continue their journey across Negros island! Which places around the Philippines do you want our OMGeo Vloggers to explore next? So, what are you waiting for? Book a flight and experience these wonderful things! It surely is more fun in the Philippines!